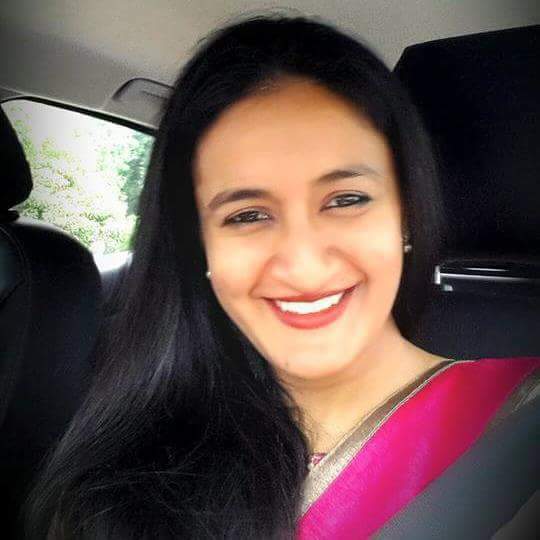 Amrutha Langs – The greatest pleasure in life is doing what people say you cannot do! It all started as a challenge … or you may call it – out of necessity! Well I was born to a highly educated affluent family born mother Jyothi Pathare – she belongs to a family of architects … my grandaddy – was head of town planning Mumbai … and was very well know as a strict & honest officer. And her husband – my father – with whom my mom fell in love with … its true when people say love is blind …He was a terrible person who used to beat up my aai (mother) day & night. My childhood saw domestic violence and that did affect me to a certain extent. But my aai made it a point that all of this doesn’t hamper my childhood. When I, was 5 years old because my father had done some money related issues in my school and some teachers had an issue with him I was removed from the school group dance performance. I was too small to understand – why it happened. All I knew was I wasn’t allowed to dance anymore with my friends on stage. My aai showed me two fun shows – One was a magic show and second was a puppet show. I liked magic show, she told me I will buy you magic items you do magic show on stage, I was thrilled as a child; Totally excited! I did my first ever magic show on stage – solo performance when I was 5 years old and I soon became India’s youngest magician. I performed all over India, my mom never took money for my shows only travel was taken care of all she wanted was for me to gain confidence and self power. I got an offer to act on stage & became the youngest bal – Shivaji (child artist) and bal- sambhaji to ever act on marathi stage. I have worked with Vinay Apte, Pramod Pawar, Mohan Joshi and all biggies in marathi industry. To keep me away from the home problems – my mom kept me busy. My everyday used to be somewhat like – early morning swimming then badminton then school then rope-mallakhamb and then basketball, then; home eat food, do homework and sleep. The outcome was superb! I became inter school swimming & basketball champion. National level rope-mallakhamb player, State Level badminton player. Inspite of all this society didn’t really accept me that well. On one hand I was meeting some wonderful people but on the other I used to come across some really nasty people who used to pass comments on my dad’s behavior. Spending day at home was scary. He always portrayed himself as a jovial person to the world but was a real monster within. As I grew up I started understanding things, I started to take control of things. I told aai I don’t want to do magic shows or theatre anymore…I want to earn back the lost respect for you (mom). I wanted some power I wanted some power through which I could interact with the world. I wanted to be friends with every single person in this world. That’s how it started … my grandfather (mom’s dad) suggested why don’t you take up languages. And with his guidance and mom’s support I started my journey… Didn’t have money to join tuitions or classes. Constant Doorbells n telephone bells by money lenders. While I was in 10th my mom was beaten up so badly that she collapsed – her spinal cord was broken. A stunningly beautiful lady – my mom – who was a newsreader on Doordarshan was now locked up behind doors with black n blue face. Me and aajoba (grandad) rushed her to the Hinduja Hospital. Thanks to the amazing surgeons she got her life back. She was hospitalized for about 6 months that was my 10th standard. People had thought I would fail my 10th, which didn’t happen…I passed with a first class. I took admission in Sophia college. Every Diwali & Christmas I used to make cards, craft or cookies or cakes and sell them for pocket money for language tuitions. Showroom wall paintings etc I have done it all! Always independent. But still my father used to always comment on my looks,”You are dark! You are of no good! He used to tell me to act as extras in films to earn a day’s expense. To which I firmly denied. Once I filled up a form for Miss India International beauty pageant and to my surprise I even became the finalist – was in final 5. That said it all and proved to all … that once Amrutha decides something she can achieve it! Nothing is impossible for me. Then while all of this was happening. This person the so called biological father of mine was detected with AIDS. My aai looked after him but till his last breath never was he thankful nor was sorry .Post his death we came to know he had a son from other woman who is elder to me .Finally,on 26 th June 2003 he died !! And me and my mom and my aajoba were Reborn! Reborn like phoenix bird – fearless and born to achieve and live life! My grandad is no more he died of parkinsonism. My mom has 27 year old diabetes,a metal rod in her spinal cord, but has amazing will power and is filled with love enthusiasm energy – she looks after my son too. I have a very loving husband, an extremely educated family and yes today the same society loves me even more! Professionally I have achieved a lot and yes there is more to achieve. I have taught at many colleges, universities across India, given corporate training, done translations, interpretations, worked as a tourist guide etc. At the age of 26 yrs of age – My passion for languages had grown bigger than ever. With knowledge of 22 foreign languages and 4 Indian languages plus English my count became unbeatable. I started to break my own records, have won lot of awards and trophies, and most importantly have earned lot of love and respect. Passion for languages got me closer to people from world over. Food, Music, history, culture, everything interests me and most importantly what interests me is the people – the study of human mind kind of makes me study more and more about it. I’m a social activist and fight for rights of women and children. Amrutha, you are an inspiration. Respect and love you. Insaan ki badbasti andaaz se bahar haai. Kambakt khuda ho kar, banda nazar aata hai. Amrutha we need more like you ☺ stay awesome ,stay blessed ! All that matters is the path we DECIDE to take toward our future…AWESOMENESS!